Extract from a presentation by Hamish Paterson at the meeting of the Military History Society on 13 August 2015. 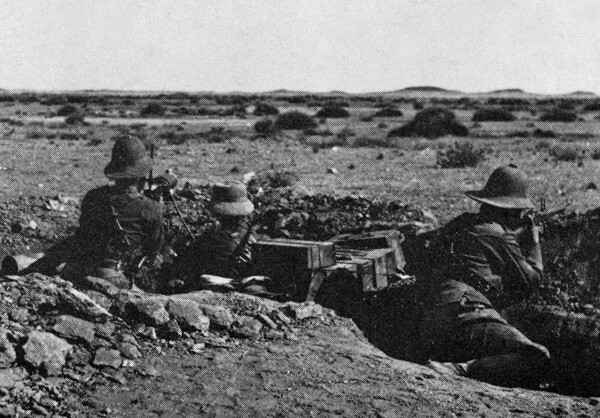 The battle for Trekkopjes was a decisive action which took place in the deserts of German South West Africa in the early part of WWI. The South African Northern Force was commanded by General Botha, however, the key problems of the battle were extremely high temperatures, lack of shade and shortage of water for men, horses and the railway engines. Botha had decided to advance on Windhoek via the Riet River but then realized that he would need to use the railway for both supply and support. So Col. Skinner was given the task of protecting the railhead and the construction teams and, so sure was Northern Force command that the Germans would not attack him that they withdrew the 12-pounders of the artillery. However, the Germans were observing from the air and saw all this plus the camp layout. The Germans decided to cut off Skinner's force from reinforcements and attack him at Trekkoppies (Trekkopjes). 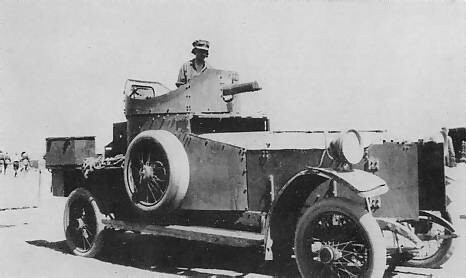 However, Skinner had an improvised anti-aircraft gun "Skinny Liz" and was sent 12 armoured cars each of which had a mounted Vickers machine gun which gave him huge fire power. Unfortunately for them, the German air observation thought the cars were water tanks. Col. Skinner decided to conduct a reconnaissance up to Ebony Siding on the night of 25 April and they spotted a German force on its way to attack the South African positions. Skinner prudently withdrew to Trekkoppies and summoned the Second Rhodesia Regiment from Arandis. The Germans opened the action by blowing up the railway line. 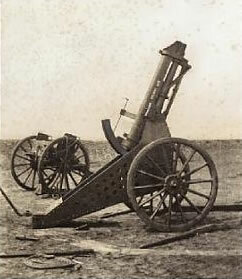 Unfortunately, they blew it up to the north of the South Africans and not the south as intended, so the reinforcements were able to get through and man the ridge defenses. Next the Germans opened fire with a three-hour artillery bombardment but the South Africans were in the trenches and not the camp. Then the Germans tried an outflanking movement only to encounter the seemingly invulnerable armoured cars [that they had thought water tanks] which kept forcing them to retreat down the railway line. The fire-power of the cars combined with the SouthAfrican rifle fire proved a barrier which the Germans were not able to suppress so their attack at Trekkoppies failed to dislocate the South African strategy. Botha was still able to exploit both the railway route and the Riet River. 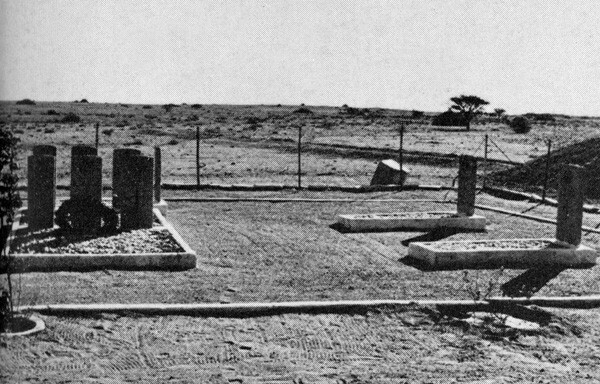 At Trekkopjes station lies a neat cemetary with the carefully tended graves of eight South African and nine Germans who fell at the famous battle there on the 26th April 1915. More info about life in the desert during WW1 here.